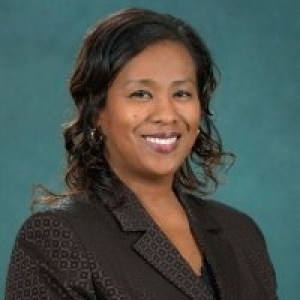 Zoritha is the CEO/Broker of Goree and Thompson Real Estate, Inc. Zoritha has been in the real estate field for over 22 years, she is currently the President of the Sacramento Realtist Association and serves on the board of Directors of the California Association of Real Estate Brokers. Zoritha is an Outstanding Life Member of the Sacramento Association of Realtors. "Master Club", top 15% if all real estate professionals in Sacramento County. She is also featured as a Life Member of "Who's Who in America". She was named the 1999 "REALTIST of the Year" by the California Association of Real Estate Brokers. As a member in good standing in Sacramento Realtist Association, California Association of Real Estate Brokers, National Association of Real Estate Brokers, Sacramento Association of Realtors, California Association of Realtors, National Association of Realtors, Sacramento Home Loan Counseling Center, and the Multiple Listing Service, she has access to all marketing data compiled and circulated by these organizations. Zoritha Thompson maintains and excellent working knowledge of Title and Escrow procedures, through continuing education and years of experience. She has been able to maintain a high level of knowledge in the field of finance, which is key in putting transactions together.